I was going to open this post with an argument in favor of the color purple. Not the book or movie, but the color as a choice on a car. But I think it’s easier just to allow this 911 to do the work for me. Because I think it’s a wonderful color. 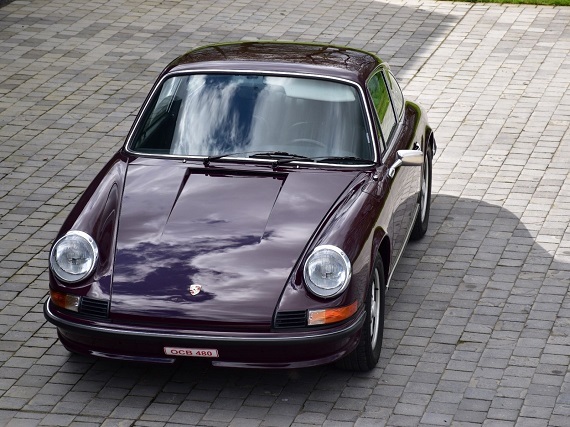 Of the various rare colors for an early 911 Aubergine (or eggplant) is an underrated favorite. It isn’t as bright and vibrant as many other choices, but still stands out, especially in the sun when that color comes through all the more. 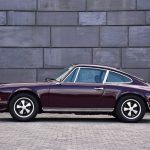 We almost never see purple cars of any sort, but the great thing about Aubergine is that it doesn’t hide the color the way some very dark metallic purples do – colors that look black in almost every lighting – but it’s also not the sort of purple that the Joker might paint his cars. It walks a line between those two extremes and manages to look sophisticated and aggressive at the same time. I love it. 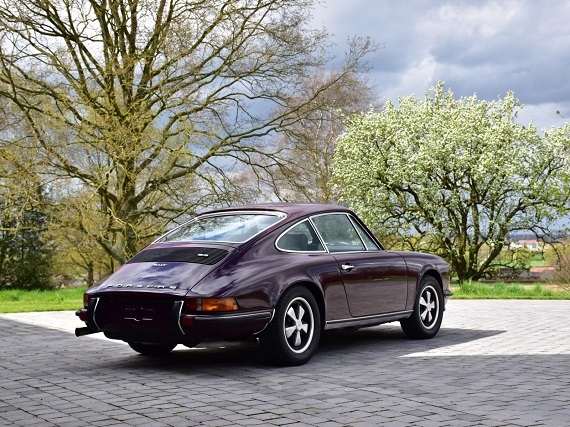 Here we have it on what was an entry-level 911 in its day: an Aubergine 1973 Porsche 911T Coupe, located in Belgium, with around 70K miles on it. 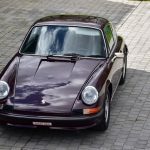 This 911 was originally delivered in Montery California and has been imported to Europe in 2001 by a Dutch collector. 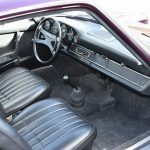 I purchased the car in 2008 and had it professionaly restored to its original specifications. 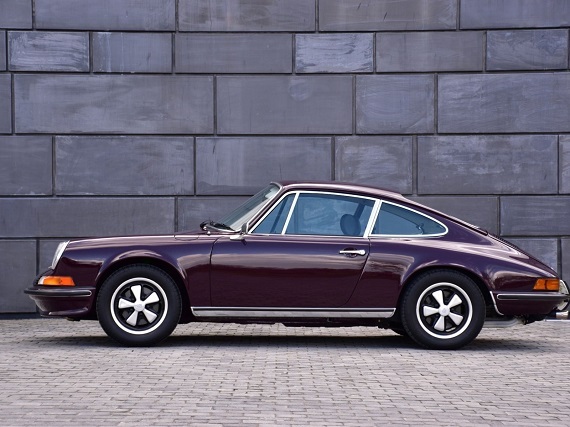 All mechanical parts were overhauled as well as a total bare metal repray in its original ‘aubergine’ colour. The car had no rust and is still fitted with it’s original panels and floors. 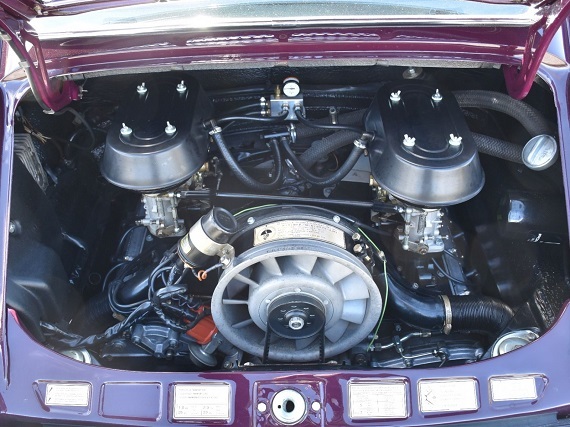 The engine has been fitted with Weber carburators which emproves the reliablitity and power. The interior has also been renewed. 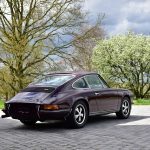 The car is full matching numbers as proven by the Porsche Certificate of authenticity. The original envoice as and some service history are available as well. I’ve had this car for over 8 years and I can tell this is one of the best 911 2.4 T I’ve driven so far ! Trully amazing car which puts a smile on your face every time you drive it. 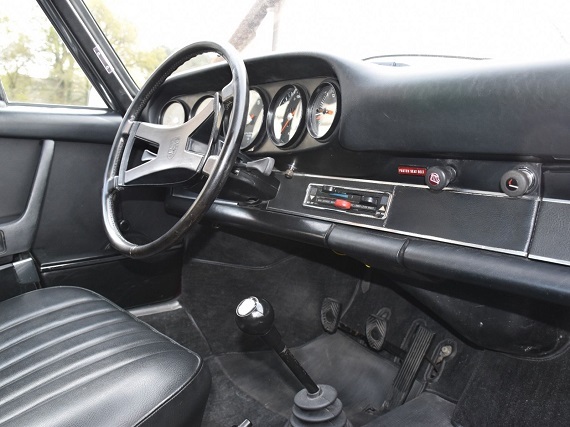 A closer look at everything here shows that this isn’t a pristine example as it shows some basic wear in the interior and were we to have a close look at the exterior I’m sure a blemish would show itself there as well. 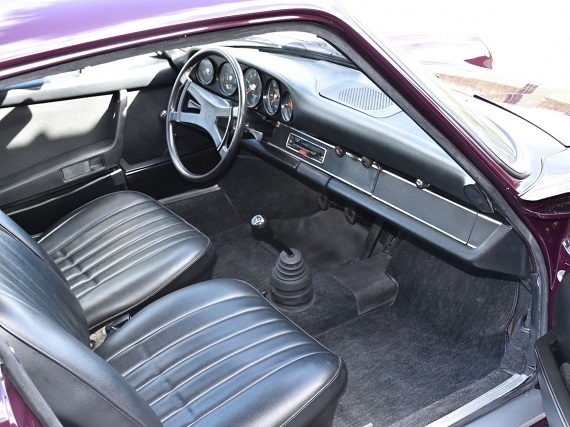 But that’s ok as these seem like minor wear issues and overall this 911 looks in very nice shape given its age. There doesn’t sound like much service history is available so you’ll want to get it checked out and given that the car is in Belgium that may be where initial problems arrive. That said, right now bidding is pretty reasonable at $55K. I certainly don’t expect it to sell there and the reserve is unmet so bidding will have to come up anyway, but perhaps a reasonable price can be had in the end. This was originally a US 911 so let’s hope it can make its way back home. Tagged 1973, 911T, air cooled, Porsche. This and Amethyst are my favorite colors.